Debt can be a useful tool, but if you're not careful it can become a lifelong obligation. Luckily, there are plenty of ways to ensure debt doesn't drag you down. It's surprisingly easy to sleepwalk into debt. Payday loans, pawn shops and unplanned overdraft fees are the kind of quick fixes that have been developed to feed on financial short-sightedness. Avoiding these costs is a simple matter. Just keep a close eye on your finances, and ensure you leave enough slack to deal with unforeseen costs. If that sounds daunting, try using our free money management software. You can import data from all of your accounts, track your income and outgoings, and use budget alerts to warn of an impending budget crisis, all from one simple, secure console. Buying goods and services on credit comes with interest rates that can leave you paying off goods for a very long time. 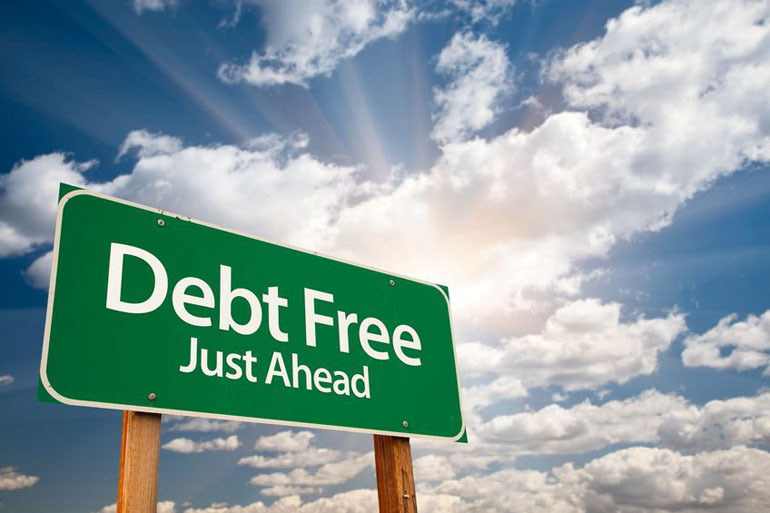 Even interest-free credit deals require close scrutiny. They often come with strict time limits, and if you can't cover the full cost before your time runs out you'll be slapped with onerous rates. So swap your credit card for a debit card and set yourself strict saving targets before setting your heart on a big purchase. Some costs, like rent/mortgage payments and utility bills, are fixed, recurring and unavoidable. Others are optional. If you want to avoid debt, keep all non-essential payments as flexible as possible. Locking yourself into long-term gym memberships, mobile providers and other contracts means giving up the freedom to ditch the service when money is tight. It's also wise to compare your service providers on a regular basis. Loyalty is all well and good when you're guaranteed market-beating rates, but markets change so frequently that a regular survey of rival offers will usually turn up a better deal. It would be a shame to miss out on them. Direct debits are a great way ensure you don't miss payments, and some services even offer discounts for their use. In these instances, there's every reason to put them in place. customers paying by direct debit. Then there's the danger of utility companies billing based on estimated meter readings. So if you do opt for direct debit payments on any bills, make sure to keep track of what you're spending. There are no foolproof methods for avoiding debt, and that's why one of the most important weapons against debt is liquidity: by which we mean a pool of cash you can dip into when you're faced with sudden, unavoidable costs. Because there's nothing more galling than borrowing to cover costs when you have money locked in the bank. Being flexible doesn't mean you can't invest or save your money either. Look at alternative saving methods like investing your cash yourself, or using peer-to-peer lenders such as Funding Circle, who allow you to sell your loans on to other investors if you need to access your money quickly. You'll be surprised how many options are on offer.